As we begin a new year under a new tax code, you may be wondering what the new rules are for individual charitable giving. I urge you to consider charitable giving rules not only from a tax perspective but from a personal perspective. The technical answer from a tax perspective is there are four significant changes that may affect your charitable giving and charitable planning for 2018. First, the limit on gifts of cash has been raised from 50% of adjusted gross income (AGI) to 60% of AGI. This means that if you earn $100,000 you can deduct up to $60,000 of cash contributions to public charities for 2018. Of course, if you give more, you can still carry those contributions forward to offset future taxes. 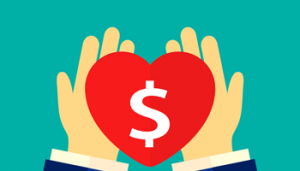 Among charitable organizations, this is considered a good change that will encourage people to be more charitable; however, it is still only the very wealthy who are able to give over 50% of their income to charity. Second, the standard deduction has been doubled to $12,000 for individuals and $24,000 for couples. Charitable organizations across the country are quite nervous about this change because the Tax Policy Center estimates it will reduce the number of Americans who itemize their charitable deductions by over half, from 37 million to 16 million households. One of the objectives of tax reform was to simplify the tax code, and doubling the standard deduction will make it much easier for many families to complete their tax returns. This also means many people will benefit from the higher standard deduction without the incentive to make charitable contributions to reach the standard deduction threshold. This effectively moves 21 million families to the honor system of charitable giving rather than having to document or support their charitable giving with receipts, because their charitable giving will likely fall below the new higher standard deduction for 2018. Several charity groups were seeking a universal charitable deduction to avoid this issue, but tax simplification prevailed. The question remains for 2018: how charitable are Americans who are now on the honor system? Third, the estate tax exemption has also been doubled from approximately $5.5 million per individual to $11 million, which means a couple can exempt the first $22 million of their estate from taxes. Charities are also quite fearful about this change because it means only the very wealthiest families will ever have need for charitable deductions to reduce their estate taxes. Here again, the result of the tax law change is to move many families to the honor system of charitable giving. Fourth and finally, the tax rates have been lowered in an effort to keep more money in the hands of taxpayers, who are better equipped to make good choices with their income. This is a good thing, right? Well, yes, it’s nice to pay less in taxes, but for those who are in a position to itemize their charitable contributions, lower tax rates mean reduced incentives for giving in 2018, when compared to 2017. So that’s the dismal tax-focused view of charitable giving for 2018. Many of the tax incentives for charitable giving will no longer be available for most families, so how will Americans respond? The tax rules have changed, but what about your personal rules? Here’s the good news. I have it on good authority that the Tax Cuts and Jobs Act of 2018 was unable to penetrate or remove the heart of a single American citizen, and fortunately for us, that is the ultimate source of charity. Merriam Webster defines charity as generosity and helpfulness especially toward the needy or suffering. Hmm, there is nothing in that definition about tax deductibility, is there? I think the Biblical rule goes something like this…”love your neighbor as yourself.” The Golden Rule is very similar, “Do unto others as you would have them do unto you.” We don’t love our neighbor so they will love us, we love our neighbor because they need our love. What is our reward as a society when we extend generosity and helpfulness to others? The best example I heard recently on this subject was the admonition of a young mother speaking at the celebration service for her child who lost a long battle with cancer. Overwhelmed by the generosity and helpfulness that had been extended to her family, she encouraged those in attendance to “do more.” There are so many ways you can be generous and helpful to those around you, and only a small fraction of the acts of charity that you may be thinking about are tax-deductible. Fortunately, joy and satisfaction in this life are not based on tax deductions, so I would encourage you to continue to live generously in 2018. Seek out opportunities to help others with your time, talents and treasures. Go ahead and keep your tax receipts, and when January 2019 rolls around, you may be surprised that you have exceeded the standard deduction threshold. But whether or not you have exceeded the legal standard deduction tax threshold is less important than if you met the honor code to love your neighbor. “Do more” in 2018 is probably your next best opportunity to give well.